According to Rep. Hill, the governor expanded the sales tax to include every day services. The governor identified that new taxes would be assessed on haircuts, legal services, accounting, interior design, real estate, computer and data processing. In his address, the governor explained that the teacher pension fund, an account that historically has been funded and distributed by the state, will be shifted to individual cities in towns. “Municipalities will now be responsible for paying into the teacher pension fund. While this will save the state money on paper, it will add stress to thin local budgets. If this proposal were to pass along with the budget, then local taxes are likely to go up,” said Rep. Hill. The governor also explained that he has multiple tolling proposals. It is unclear whether it is legal to just tax heavy trucks, so the governor expanded his proposal to create a new tax on all motor vehicles using the state’s roads by tolling. Rep Hill concluded, “We were lead to believe that tolling is the only way to fix our bridges and roads. That’s not true. There are sustainable ways in which we can make our infrastructure better, without imposing financial burdens to our residents. It’s projected that sixty to seventy percent of toll revenues will come directly from the people who live in Connecticut. 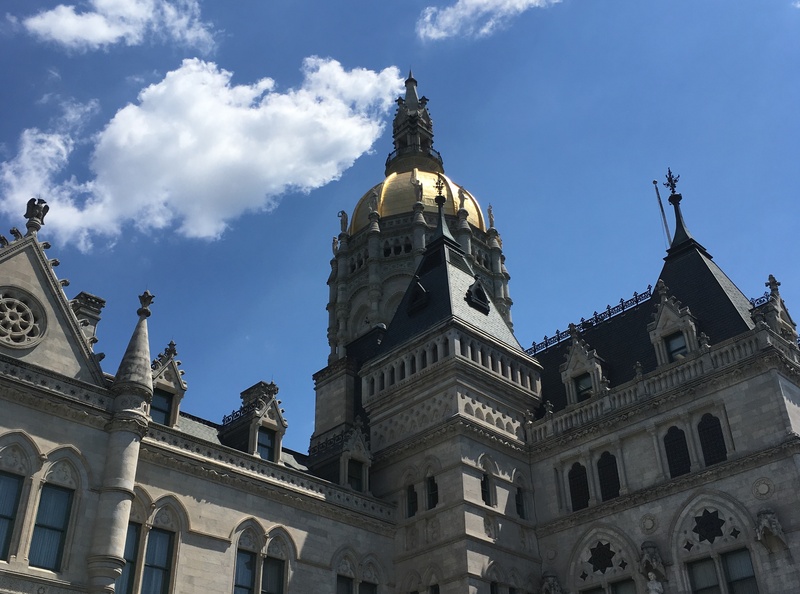 The legislature will now produce its own form of the budget, which should be completed by early April.